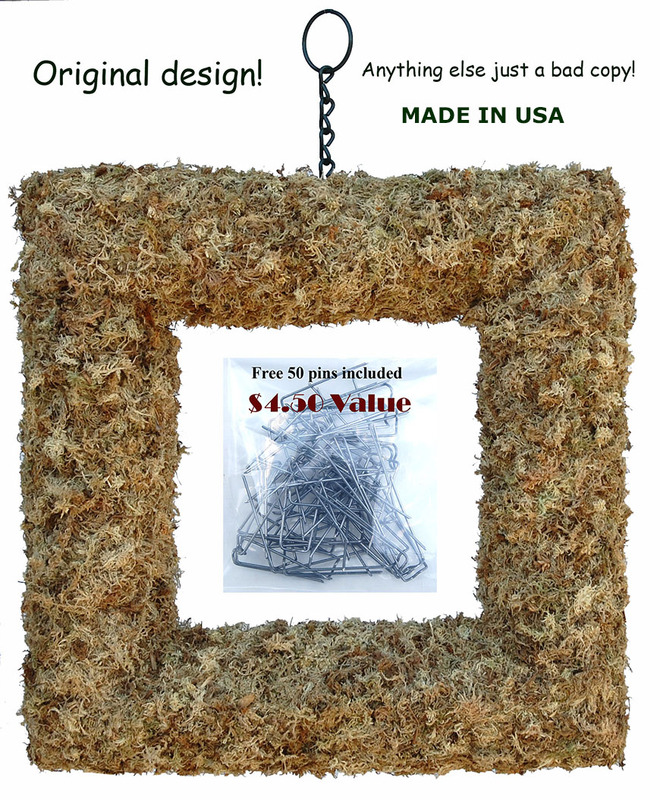 Square sphagnum moss living wreath form - 17"
We won't be undersold on quality and service! Wholesale information upon request. Product available through top selected industry distributors. Home > LIVING WREATH FORMS - THE BEST ON THE MARKET! > Square sphagnum moss living wreath form - 17"
This is original sphagnum moss living wreath form created over 20 years ago by Stefan Przystanski to the highest standards. Often copied but it's not the same. Built on rigid professionally formed and welded frame comes fully equipped to grow and hold plants for a long time. Best quality sphagnum moss firmly filled and secured by trained craftsmen or the men himself. Be aware of cheap copies by green moss peddler! Pack of 12 complete sets. LIVING WREATH FORMS - THE BEST ON THE MARKET! PLANT CONTAINERS Iron, CocoMoss, Rattan, Willow, Naturals, Bamboo and more.